If you think too hard about it, Bonfire Night (aka Guy Fawkes Night) feels like one of England’s stranger national festivals. All over the country, we head out into the cold winter air to celebrate the foiling of a plot to blow up Parliament, and the execution of the plotter Guy Fawkes – events that took place over 400 years ago. Whether most of the people out enjoying the evening remember all that is another matter, of course. Because the enduring appeal of November 5 has more to do with the celebrations and the atmosphere than the original story. Wrap up warm, get yourself a hot drink and watch fireworks light up the sky in some of London’s best open spaces, then head off to a local pub to escape the chill. Some events include the traditional bonfire too, and all of them come with a supporting cast of stalls selling snacks, drinks and glow-in-the-dark novelties (always a hit with the kids). This much-loved green space south of the river isn’t too difficult to reach – jump on a direct train from Waterloo to Queenstown Road, or for a shorter walk change at Clapham Junction and disembark at Battersea Park station itself. It’s a ticketed event, so buy in advance if you don’t want to end up watching from outside. This year it takes place on the Saturday (November 7). This pleasant suburb near Greenwich hosts a huge free event every year, complete with funfair. Head down the Strand to Charing Cross, which has regular direct trains to Blackheath, taking about 20 minutes. Again, this one’s on Saturday night. For a traditional event a stone’s throw from the Thames, head west to Barnes. It’s held in the local sports club’s playing fields, and afterwards you can stop for a drink in one of London’s nicest riverside suburbs. 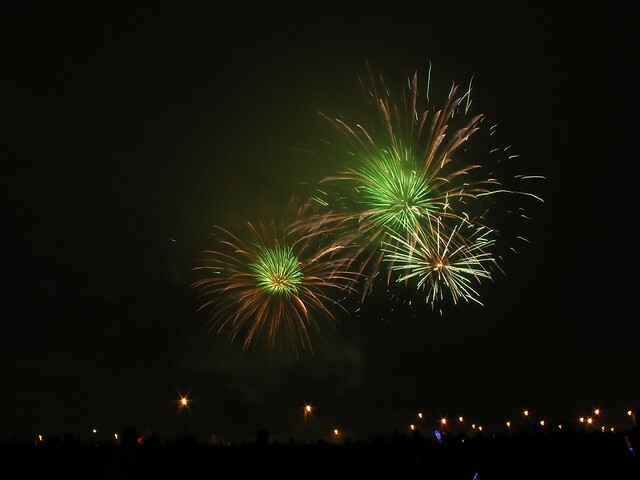 The festivities start at 6.30pm, with fireworks at 7.45pm – direct trains from Waterloo to Barnes Bridge take around 20 minutes. Held on Sunday (November 8), Richmond’s event bills itself as a ‘Family Fireworks Display’, and is held at the ground of the Richmond Athletic Association. There are loads of pubs in the town centre, so you won’t be stuck for a drink afterwards. Direct trains from Waterloo take about 15 minutes. This free event gets busy, so arrive early – doors open at 5pm, with the fireworks at 7pm. It’s taking place on November 5 itself (Thursday). Southwark Park is a few minutes’ walk from Bermondsey underground station, just three stops from Waterloo on the Jubilee line. The Strand Palace Hotel’s central London location puts your stay in the centre of the action for this years Guy Fawkes night, check our availability for the weekend of the 5th.